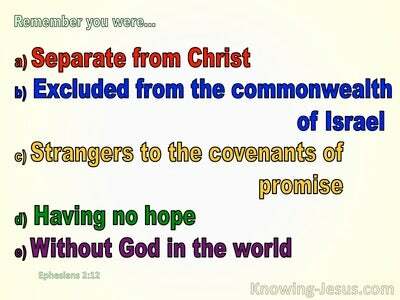 What Does Ephesians 2:3 Mean? We should never forget that we were unregenerate people, who followed the ways of the world. We were children of darkness, in subjection to the ruler of the powers of the air, and were under subjection to the satanic god of this age. We were sons of disobedience, and subjected to the spirit of the age, and we entered this world in a ruinous state - stained by sin and at enmity with God. We were born in sin, which means that we came into this world with a sin nature; condemned to spiritual death and eternally separated from our God and Creator. Adam's disobedience and failure to obey God's will, dictated the fate of the entire human race - and if God had not purposed to redeem mankind, through the sacrifice of His only begotten Son - every one of us would have remained eternally damned, and separated forever from our heavenly Father. Before our conversion, we were all slaves of Satan, and prey to our sin nature. We too were the sons of disobedience, and lived a carnal lifestyle. We indulged in our fallen, fleshly appetites, and lusted after the gratification of our fleshly self. We may not like to consider this to be a portrait of our pre-salvation state.. but the Word of God confirms it to be so - for there are none that are good, not even one. How blessed we are to know that our heavenly Father, s0 greatly loved the world, that He gave His one and only Son - the Son of His love, Who was in the bosom of His Father from eternity past, so that everyone who trusts in Him will not perish, but may have the Life of Ages. We too were once children of wrath. We also formerly lived in the lusts of our flesh. There was a time when we automatically indulged in the desires of the flesh and the lust of the mind, for we were by nature children of wrath, even as the rest of the human race. 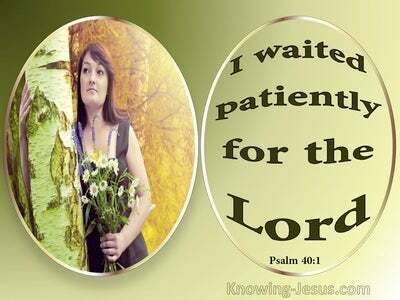 Before salvation, we were dead in our trespasses and corrupted by sins. We walked in accordance to the course of this world and lived according to the prince of the power of the air - and it is this same evil spirit that continues to work in the unredeemed, sons of disobedience. 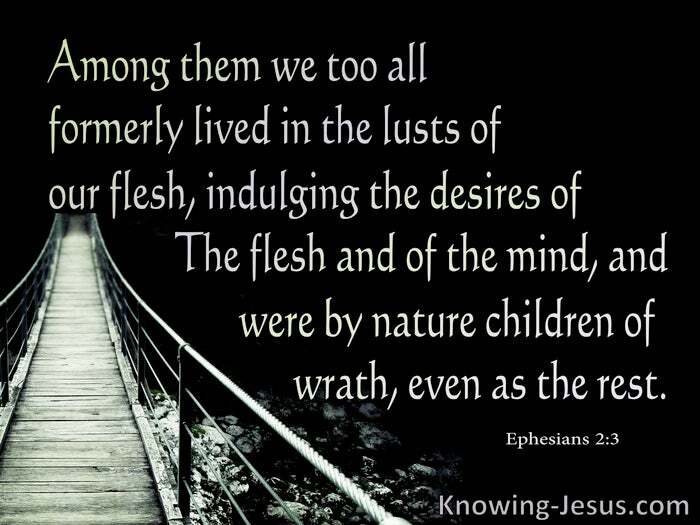 May we never forget that we too were among them - lusting in our flesh, indulging in the ungodly desires, of both the flesh and of the mind. 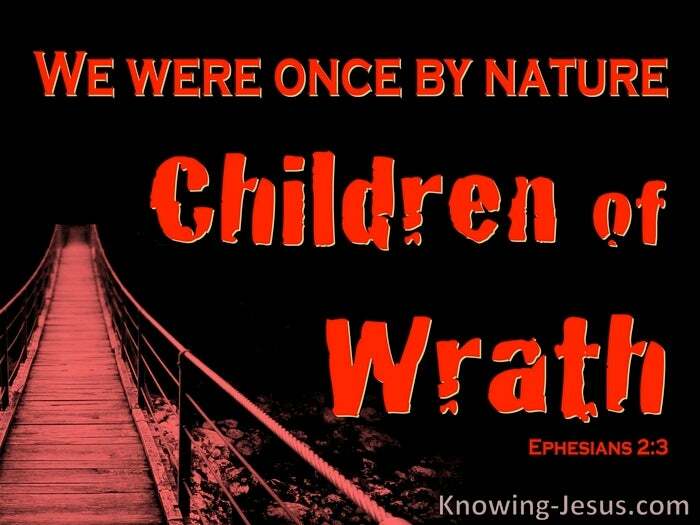 We too, were by nature children of wrath - just like the rest of humanity. But God, being rich in mercy, purposed in His heart, to save all who would believe in Him. 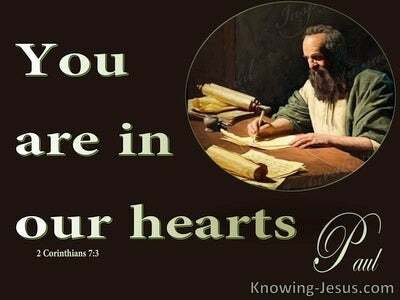 And because of the great love, with which He loved us, He sent Jesus, to be the propitiation for our sin. 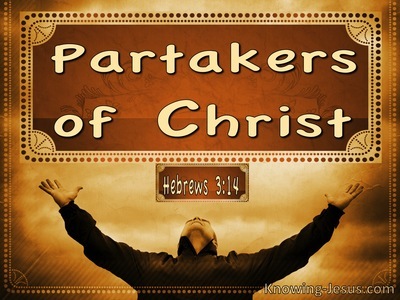 Even when we were dead in our transgressions, He made us alive together with Christ - for by grace we have been saved.. and He raised us up with Him, and seated us, together with Christ in the heavenly places - praise His holy name. Some consider it unfair that one man was the cause of humanities fall and eternal condemnation. But have you considered.. that it was only by God's amazing grace, that he permitted one fallen man to dictate the destiny of all humanity, so that ONE PERFECT MAN - the Man Christ Jesus, could determine the redemption of ALL - for as in Adam all die, even so in Christ shall all be made alive. If God had so designed His plan of redemption that Adam paid the price for his own sin, alone... and we paid the debt for all our sin - NO-ONE could ever be saved. BUT, because sin entered the word by one man's sin - God could offer His gracious plan of redemption to ALL.. through the perfect life of ONE MAN - our Saviour Jesus Christ. It is by FAITH in Him that we are saved, not of works, lest anyone should boast.